ADS-B, which consists of two different services, "ADS-B Out" and "ADS-B In", could be replacing radar as the primary surveillance method for controlling aircraft worldwide. In the United States, ADS-B is an integral component of the NextGen national airspace strategy for upgrading or enhancing aviation infrastructure and operations. The ADS-B system can also provide traffic and government generated graphical weather information through TIS-B and FIS-B applications. ADS-B enhances safety by making an aircraft visible, realtime, to air traffic control (ATC) and to other appropriately equipped ADS-B aircraft with position and velocity data transmitted every second. ADS-B data can be recorded and downloaded for post-flight analysis. ADS-B also provides the data infrastructure for inexpensive flight tracking, planning, and dispatch. "ADS-B Out" periodically broadcasts information about each aircraft, such as identification, current position, altitude, and velocity, through an onboard transmitter. ADS-B Out provides air traffic controllers with real-time position information that is, in most cases, more accurate than the information available with current radar-based systems. With more accurate information, ATC will be able to position and separate aircraft with improved precision and timing. "ADS-B In" is the reception by aircraft of FIS-B and TIS-B data and other ADS-B data such as direct communication from nearby aircraft. The ground station broadcast data is typically only made available in the presence of an ADS-B Out broadcasting aircraft, limiting the usefulness of purely ADS-B In devices. The system relies on two avionics components, a high-integrity GPS navigation source and a datalink (ADS-B unit). There are several types of certified ADS-B data links, but the most common ones operate at 1090 MHz, essentially a modified Mode S transponder, or at 978 MHz. The FAA would like to see aircraft that exclusively operate below 18,000 feet (5,500 m) use the 978 MHz link since this will help alleviate further congestion of the 1090 MHz frequency. To obtain ADS-B Out capability at 1090 MHz, one can install a new transponder or modify an existing transponder if the manufacturer offers an ADS-B upgrade, plus install a certified GPS position source if one is not already present. How do I receive ADS-B and create a Virtual Radar system? For my setup, I used an RTL-SDR receiver. RTL-SDR is a very cheap software defined radio that uses a DVB-T TV tuner dongle based on the RTL2832U chipset. With the combined efforts of Antti Palosaari, Eric Fry and Osmocom it was found that the signal I/Q data could be accessed directly, which allowed the DVB-T TV tuner to be converted into a wideband software defined radio via a new software driver. Essentially, this means that a cheap $20 TV tuner USB dongle with the RTL2832U chip can be used as a computer based radio scanner. This sort of scanner capability would have cost hundreds or even thousands just a few years ago. 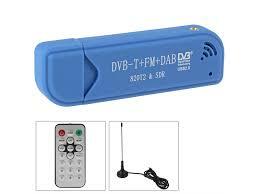 The RTL-SDR is also often referred to as RTL2832U, DVB-T SDR, or the “$20 Software Defined Radio”. The R820T RTL-SDR is currently the cheapest, most common, and most performing in terms of general sensitivity. The R820T has a frequency range of 24 – 1766 MHz. One reputable place to buy a R820T RTL-SDR dongle is at the Nooelec Store. Nooelec is good as they guarantee that their R820T dongles have an ESD protection diode, improved components, phone support and they ship fast from the USA. These dongles are usually price at around $20. There is a very good website that provides a very good tutorial titled RTL-SDR TUTORIAL: CHEAP ADS-B AIRCRAFT RADAR that I would encourage you to read. The tutorial provides information on various antennas and software to use for Windows and Linux. I explain how I set up my ADS-B system at my ADS-B Setup page on a Linux system.